There are many places you can buy guitar gear online, and it's often the cheapest way to buy new gear. 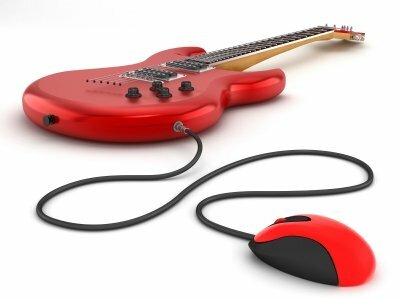 This page compares the best online guitar stores based on customer ratings and other criteria, such as shipping, finance and returns policies. When shopping online, there may not appear to be much difference between the leading stores, but a closer look reveals details that may give some stores the edge over their competition, depending on your needs. Below, much of the research has been done for you, comparing the key policies of the top guitar stores and weighing up customer reviews and ratings. If there's a store you think we should add, please use the comments form at the foot of this page. Please note that the rating (a score out of 5) is calculated based on existing customer ratings across consumer review sites and various criteria such as stock, quality control, shipping and returns. This is an overall rating that takes into account the whole shopping experience. Of course, there will be good and bad experiences with every store, so please only use the ratings as a general guide. As you can see, most places offer free shipping on orders over a minimum value. However, if you're only ordering small items (e.g. a cable, strings, straps etc.) then a "no minimum" free shipping offer would be the obvious choice. Note that some items won't be eligible for free shipping, such as very heavy items. This is where you get refunded the difference in price (item + shipping) if you see the same item cheaper elsewhere within the specified time frame. For example, if you bought a guitar for $299 (free shipping) and then 20 days later you see it on another site for $249 (free shipping), you will be eligible for a $50 refund from the store of purchase. Note that all stores that offer this guarantee take into account shipping costs on top of the item price when calculating any difference. This is called the "delivered price". However, there are many varying terms and conditions attached to what constitutes a legitimate price match, so make sure you check the store's policy. For example, they won't beat competing offers on used gear. They also won't beat a price that is only advertised in store - it has to be listed on the competitor's website. If you're on a tight budget (as are many musicians! ), spreading the cost of your new gear is often desirable. As you can see from the comparison table, a few stores require you to apply for their store credit card to get any kind of credit, often with pretty high interest rates (beware!). Some, however, offer interest free payment plans without any card application. Finance is usually offered after a basic credit check. There's usually just a one off admin fee of $1 to $10, depending on how much you're spending and how many instalments you want to pay. Typically, you'll pay the first instalment of your plan when you purchase the item(s) and make regular payments (e.g. every 30 days) thereafter. Another standard feature among some of the best online guitar stores is a "no hassle" money back guarantee. If you decide you don't want the gear you've bought, simply return it within the specified time frame for a refund or exchange. If you're returning for a refund you'll have to pay the return postage costs. If returning for an exchange, the store will typically pay for the exchange item's postage. However, if the reason for return is that the product is defective, they will refund the full amount paid including postage and pay the postage to send out the replacement item, which makes sense as it's their fault. Same Day Music offers the most generous returns policy, at a whopping 60 days. That's a long time to change your mind! There are exceptions on which items are eligible for return, so be sure to check the store's returns policy if you're buying items that can't typically be resold once opened/used. Guitar Center, Music 123 and Musicians Friend are owned by the same company. Zzounds, Same Day Music and American Musical Supply are also owned by a single company. Sam Ash, Sweetwater, Austin Bazaar and Rondo Music are independents. Rondo Music are a family run business who specialize in low-cost music gear. Unlike many of their competitors, they don't stock big brand names such as Fender and Gibson, but most of their guitars are modelled on familiar guitars such as the Strat, Telecaster and Les Paul, to a good standard. In their own words: "these guitars are great for beginners or novice players to learn on"or "for expert players who need a guitar to kick around with". Amazon have their own comparison service called Amazon Marketplace. If you search for a product on Amazon, there will often be a link below the main price which shows the best new and used offers. Click that link to be taken to the marketplace where you can list sellers by price or reputation. You'll find some of the stores compared earlier listed in the marketplace, but sometimes there are lesser known stores selling the same product for significantly cheaper. In a nutshell: always check if the product is offered for less on Amazon.